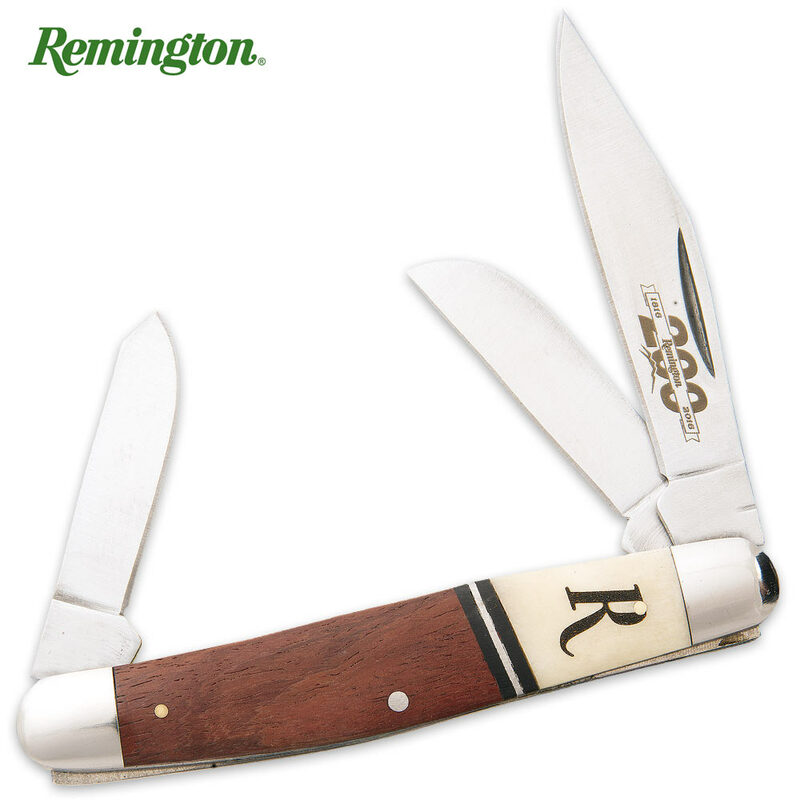 Remington 200TH Anniversary Stockman Pocket Knife Tin Set | BUDK.com - Knives & Swords At The Lowest Prices! The history of America in its westward expansion relied heavily on three tools, the plow, the ax and the firearm. In 1816, Eliphalet Remington II started his company which would expand into historical significance and livelihood for our young country. To honor this historical figure, Remington presents its 200th Anniversary Trapper Tin Set which includes Remington’s authentic vintage artwork, “Eliphalet Remington” by Bob Kuhn on the cover of the tin. This stockman pocket knife has 420 stainless steel blades and the handle is smooth white bone with an “R” laser-etched into it. A wood scale and black Micarta stainless steel spacers compliment the overall look. It is 4” closed.